Black Friday, Cyber Monday and Giving Tuesday are just right around the corner. Here are some quick and easy ways you can support the sanctuary while doing your holiday shopping! PFS has a wish list on Amazon of needed supplies, ranging from reoccurring items to one time needs. Select these as you shop online and they will be sent to the sanctuary for the animals! Partner the convenience of online shopping with the Amazon Smile program, where they will make a donation to the sanctuary based on your spending! 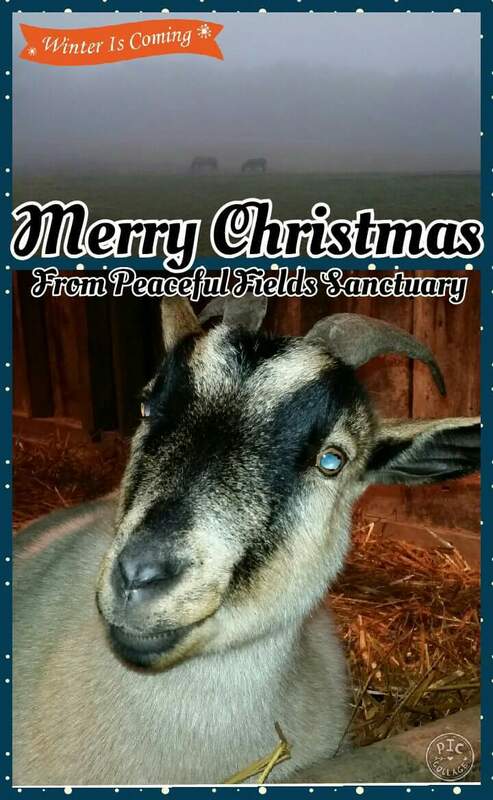 Sign up once and select Peaceful Fields Sanctuary as your beneficiary and you can have Amazon donate 0.5% of your purchase costs throughout the year, at no cost to you! Monetary donations can also be given via peacefulfieldssanctuary.org/donate . We use both Paypal and GoFundMe for your convenience. If you’d like to mail a donation or donate an item or service, send us an email. Take care of all your gift giving and demonstrate compassion by sponsoring an animal resident as a gift! Your friends and family will enjoy the photo and card they will receive as well as the kind thought knowing they were the reason a farmed animal in need is rescued and cared for! Sign up under the donate section. Thank you all on behalf of the animal residents for your support and we wish you all a blessed Thanksgiving, Christmas, Hanukkah & Kwanzaa! Yes, but it is ultimately up to the individual animal.